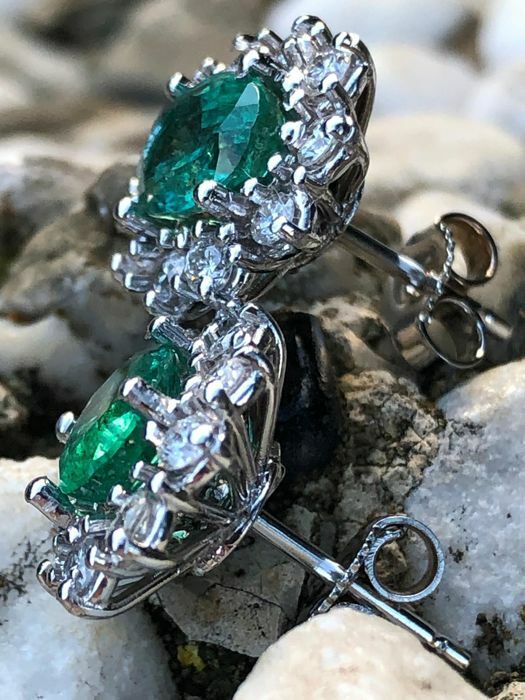 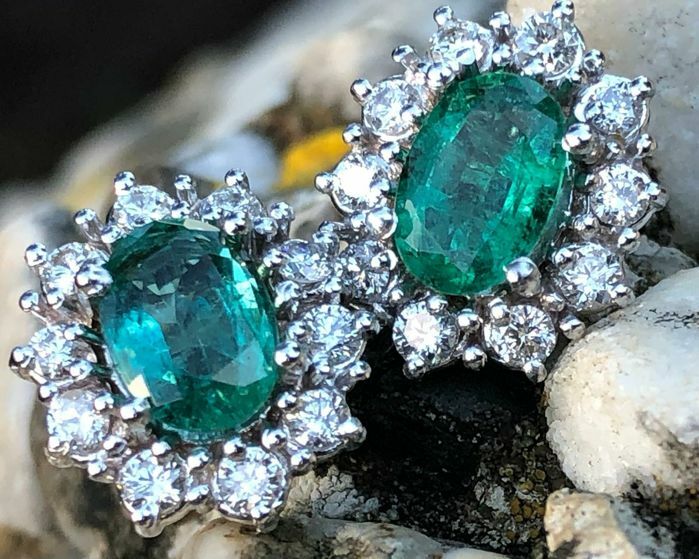 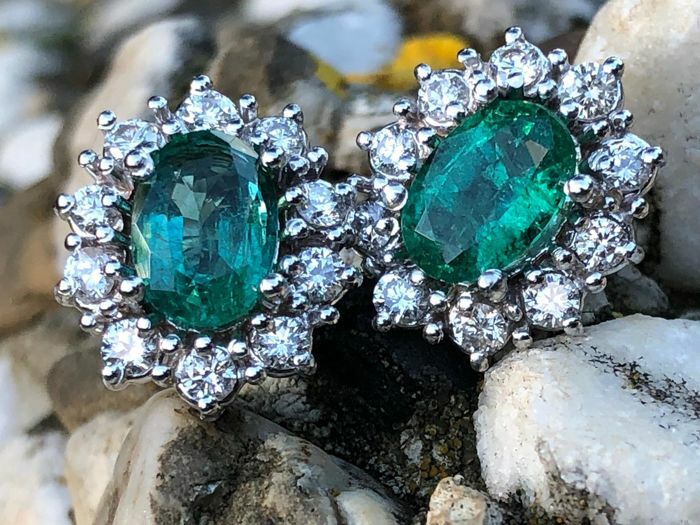 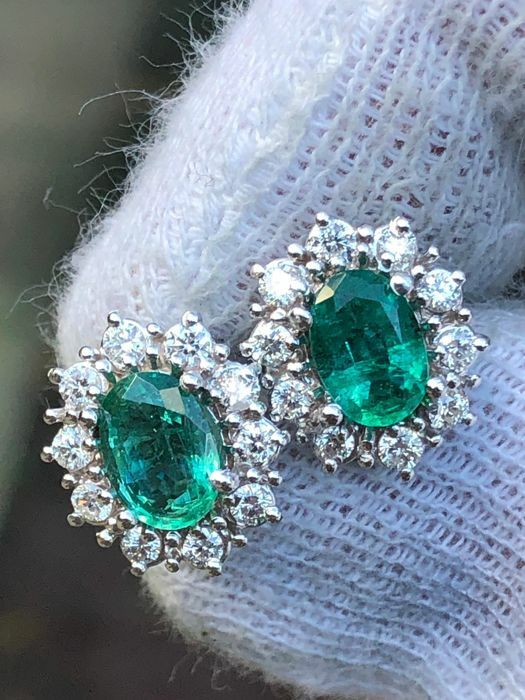 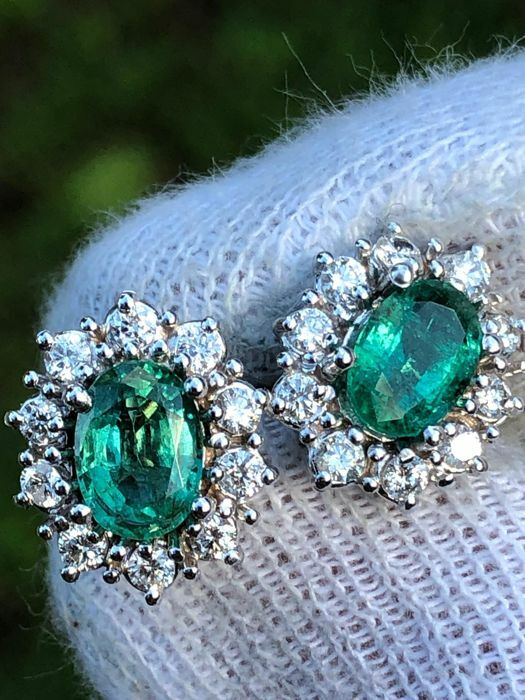 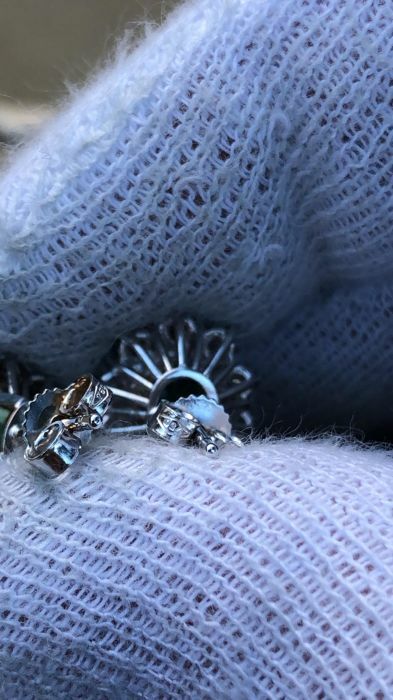 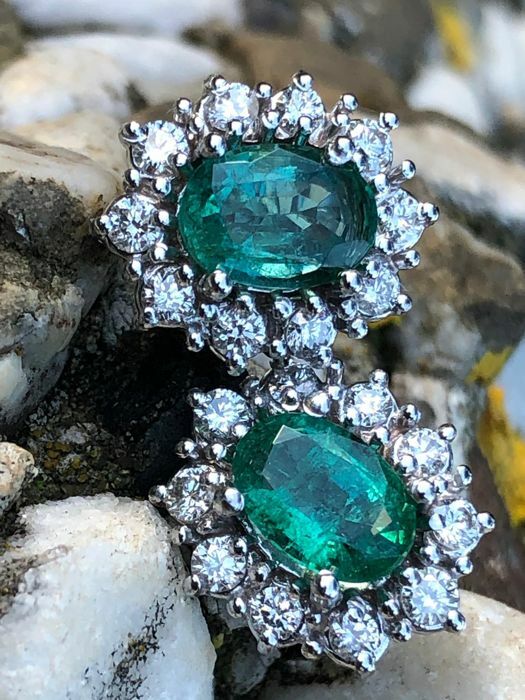 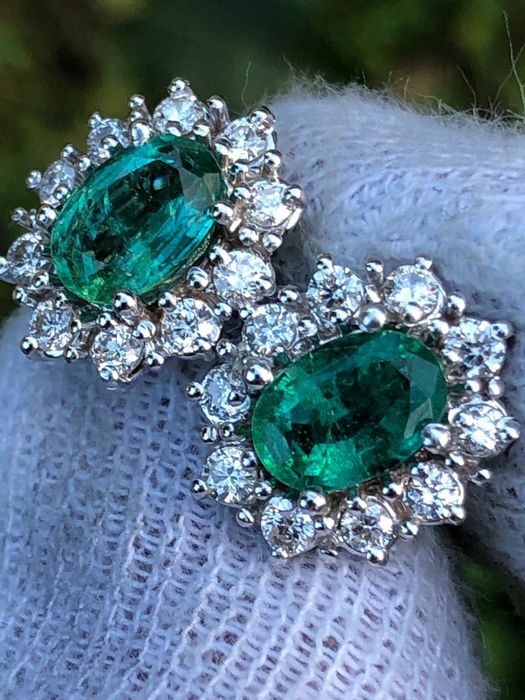 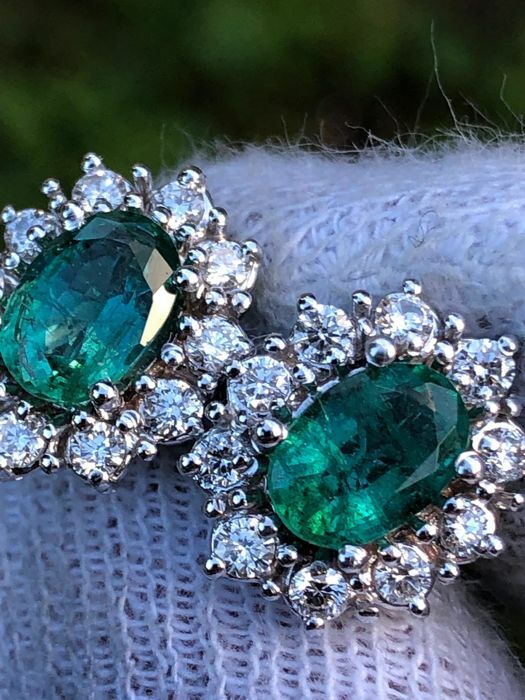 White gold earrings with emeralds totalling approx. 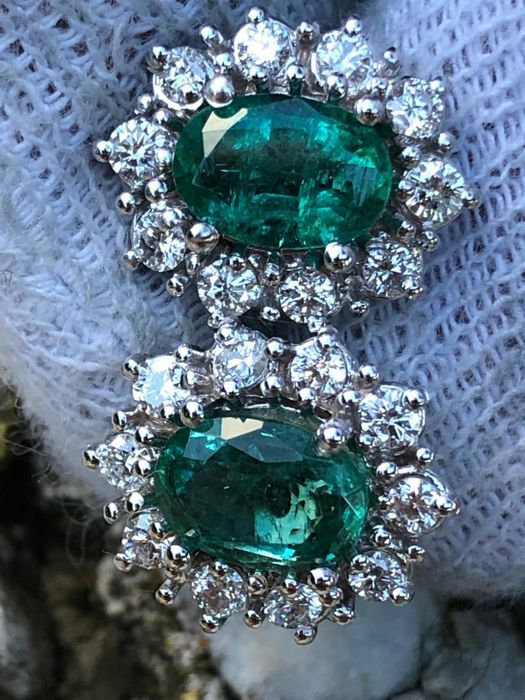 2.2 ct, and diamonds totalling 0.60 ct (VVS/E), entirely handmade. 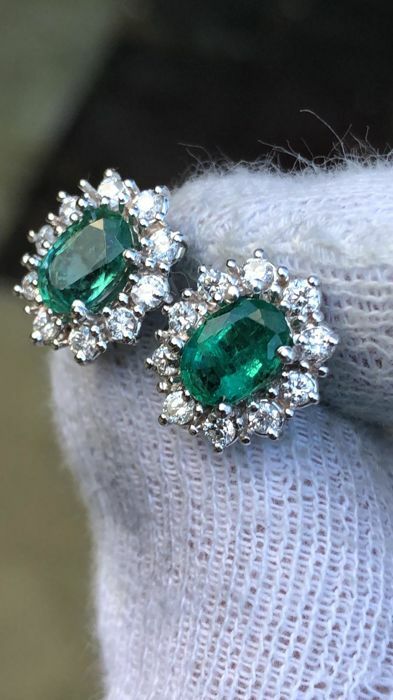 Stone: Droplet cut emeralds totalling 2.20 ct - Diamonds totalling 0.60 ct (colour F, clarity VVS).